The "Hetuck" (native American for "eye of the buck") is the official newspaper of the American Legion Buckeye Boys State program and is published daily. 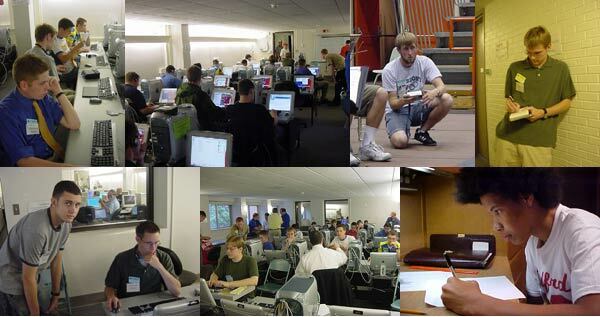 The Hetuck newspaper also operates a "Office of Social Media" where delegates with excellent computer and social media skills post information on and promote the Buckeye Boys State program daily thru Facebook, Twitter, and other social media venues. All of the positions on the Hetuck are filled by Boys State delegates. Any Boys State delegate with school newspaper, yearbook, sports reporting, or other journalism experience is encouraged to make application for the Hetuck. The application form is online and can be filled out, printed and mailed to the Boys State Director. It will be reviewed by the Hetuck Section heads and you will be notified when to appear for an interview. If you wish to apply for the position of artist please be sure to include a sample of your talent with the application. The sample should be a line drawing, freehand, as this is the type of drawing that will appear in the Hetuck.